Now, I want to make clear- I am no paragon of perfection. All of my endeavors come from a mixed bag of motives, but there is a big difference between humble acknowledgement of personal sin and dismissive ignorance of habitually weak character. It is the difference between gratefully serving in the grace of God and brashly boasting in the face of God. I think it is the difference between dependence upon God in weakness contrasted with independence and personal strength. Most of these church planters are really gifted guys. And I think those gifts both mark them as capable of planting and make them a threat to the people they should be serving. Most church planters are evaluated against one type: the entrepreneur. If you have those requisite gifts, you are likely to be unleashed to pursue your vision. The strengths of the planter are what are valued most, which is really just the wisdom of selecting men whose natural strengths mirror those needed to start a new church. It is strengths based leadership, and I am afraid lots of guys are totally missing it. I am a really big fan of strengths based leadership. When I first took the Strengths Finder test four years ago, it put into words, concise and clear words, something that I knew was a gift of mine, but could never explain. For those interested, they called it the strength of “Ideation.” I learned to trust that gift. I learned to utilize it in new ways. I have seen incredible growth in my leadership ability because of Strengths Finder. So please know, I am not against strengths based leadership. I just think it needs to be put in its proper place. The principal of Strengths Based Leadership should be the essence of your doing. 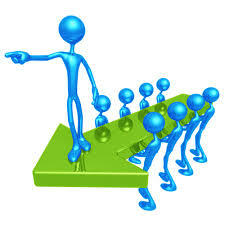 But far too many people are making the principal central to their being. Try playing with it. If your talent in any given area is ranked on a scale of 1 (being a weakness) to 5 (being a primary strength), and you spend five hours honing that skill, you will find an exponential increase in effectiveness in the areas of your strength over your areas of weakness. 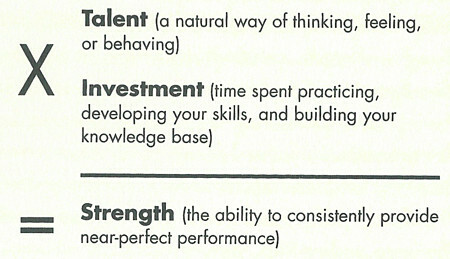 So the key to greater effectiveness lies in compounding your strengths, not shoring up your weaknesses. This is an incredibly powerful principal that most people get wrong. Most of us operate as though bringing up the level of our weakness will make us stronger. Patently false. Get the book, take the test, apply the knowledge. Apply it in all that you do. But please, Christian, pastor, or church planter, do not apply this principal to who you are! I see planters, men called by both God and other men to plant a church, who consistently, mistakenly apply the principal of strengths based leadership to their being instead of their doing. You may function much like an entrepreneur, but if you are planting a church, you are called to be a pastor. Your natural, God-given strengths of resourcefulness, innovation, personal drive, and indomitable vision are areas that you should constantly expend your energy, but you cannot settle for being an entrepreneur. You must be a pastor, one who feeds God’s sheep, regardless of their usefulness to you and your vision. You must care for God’s sheep, lovingly, without prejudice, regardless of how much they drain you. You must pursue the one sheep, even when it slows down your progress with the other ninety-nine. If that sounds foolish to you, ask whose school you have been sitting in – the John 21:15-17 school of ministry or the Matthew 4:8-9 school of success? As I meet with planters, I continually find men who believe themselves to be entrepreneurs (a statement of being) that function as pastors (a statement of doing). What we need are pastors (a statement of being), who are gifted to function as entrepreneurs (a statement of doing). You were not given a calling in order to maximize your strengths. God gave you your strengths to help you fulfill your calling. So maximize your strengths, but only in service to your calling. And above all – feed God’s sheep.